As one of India's largest packaging materials manufacturer & supplier, we are committed to offering a diverse range of packaging materials, which you can order from us. We are confident that our packaging supplies will meet your requirements, in both value and quality. We stock the full range of industry standard packaging materials, including packing tapes, protective solutions, cardboard boxes and much more. Browse through the variety of products to see our full range. We pride ourselves on offering our customers top quality products coupled with competitive prices and an unbeatable next working day service. Our online shopping is simple & safe. Place an order by 3pm, and the order will be delivered to you on the following working day. At Concept Diversipack, with our years of experience and expertise, our team is happy to offer you any advice on packaging solutions / and requirements. Our team works 24/7 to make sure that all our customer's expectations are met. Just give us a call on +919844065534 with any questions, or email us! 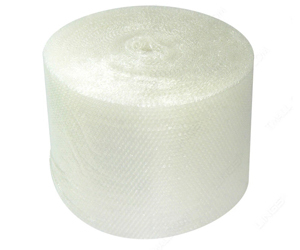 You can find the full range of packaging supplies on our site to suit your needs, including aspectrum of PP strap, PET strap, bubble wrap, tapes, stretch wrap film, shrink film, angle board and many more items. We understand the importance of being environmentally friendly, which is why we are constantly researching and on the lookout for products that meet today's environmental standards. Whether you are in need of packaging supplies for your business requirements or for personal demands, our vast range of products represents the best value for money . We design and sell a range of bespoke packaging to meet your needs - this includes designs with your personal logo on tapes, straps, cartons or any other product you require in the packaging market. Enhance your brand with our bespoke packaging.